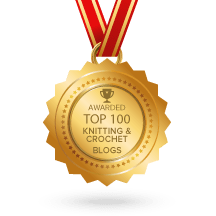 I spend a lot of time on Ravelry and there are particular knitters whose projects I like to check out to see what they’re knitting at the current time. 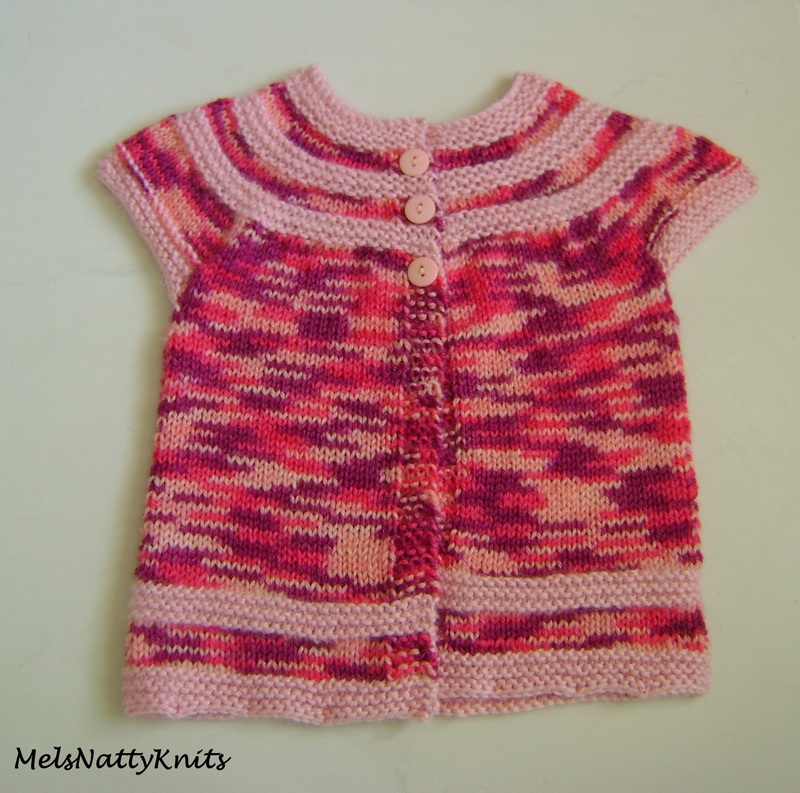 One of my fave knitters has made this little cardigan quite a few times so I decided to buy the pattern and make it too. 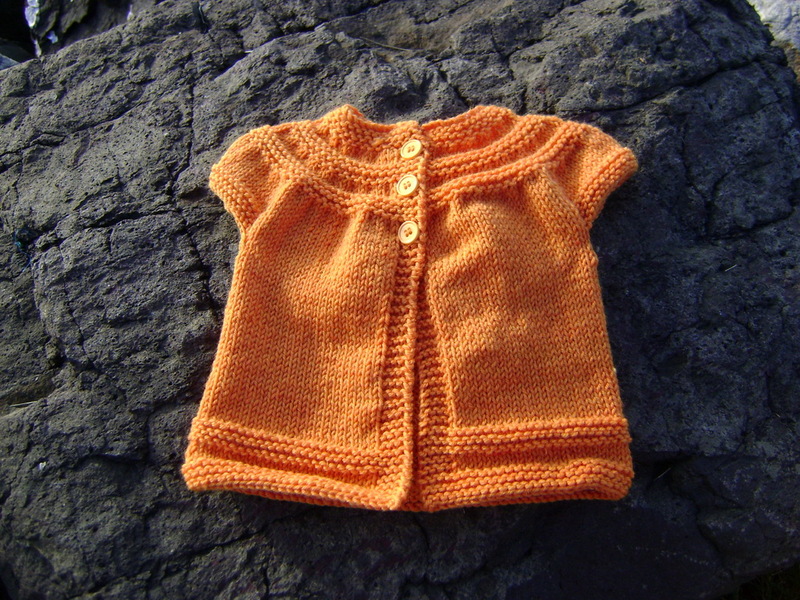 Isn’t it just the cutest little baby cardi you’ve ever seen? 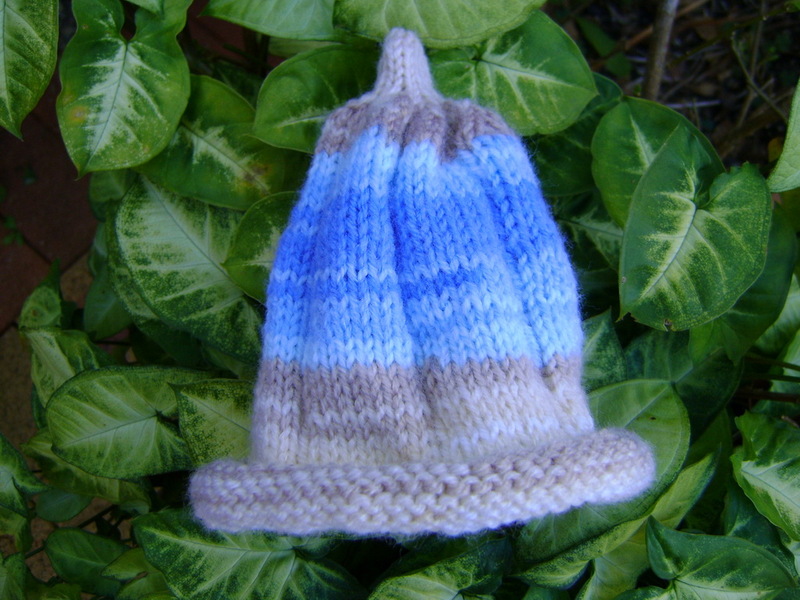 The best thing about this pattern is it’s all knitted in the round and in one piece. Yay!! No seams….no joining. All you have to do is sew on the buttons. How easy is that? And it’s all plain and purl knitting so an ideal pattern for a beginner who wants to get a bit daring and start knitting larger items with a bit more detail. 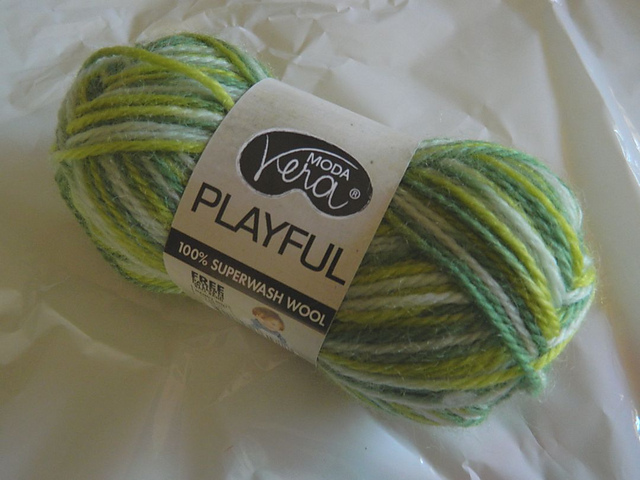 I used one of my all time favourite 10ply (worsted) yarns for this project. 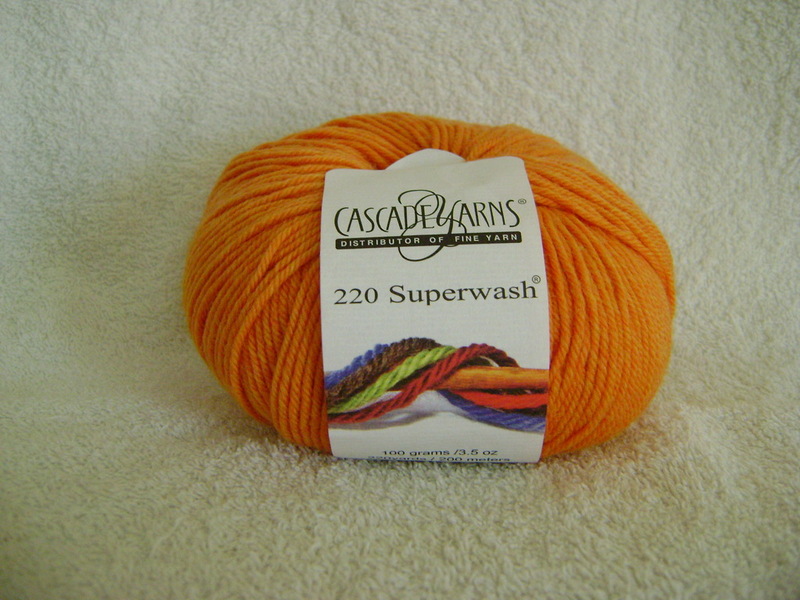 It’s Cascade 220 Superwash and it’s fantastic to knit with. 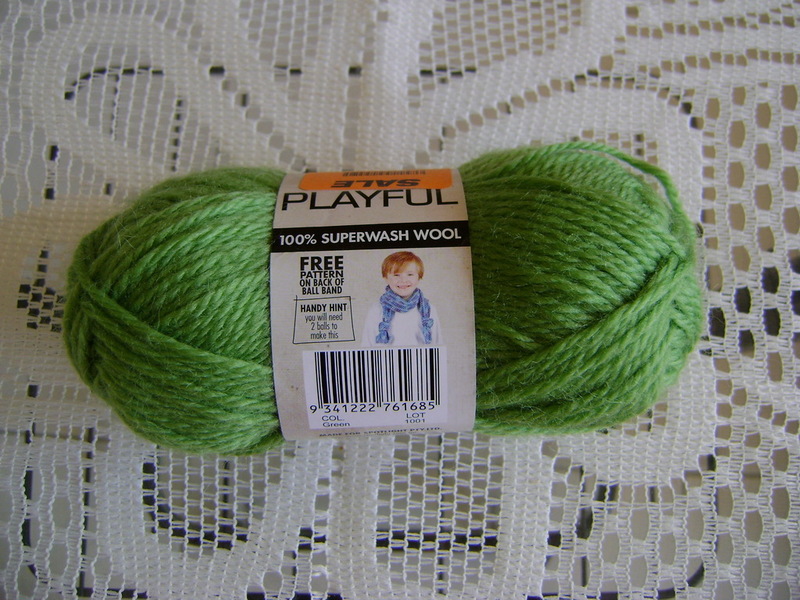 This yarn is part of the bulk ‘end of dyelot’ sale I purchased from Yarn Glorious Yarn. I’m so glad I splashed out and bought so many balls as I’m slowly working my way through them knitting all sorts of goodies. 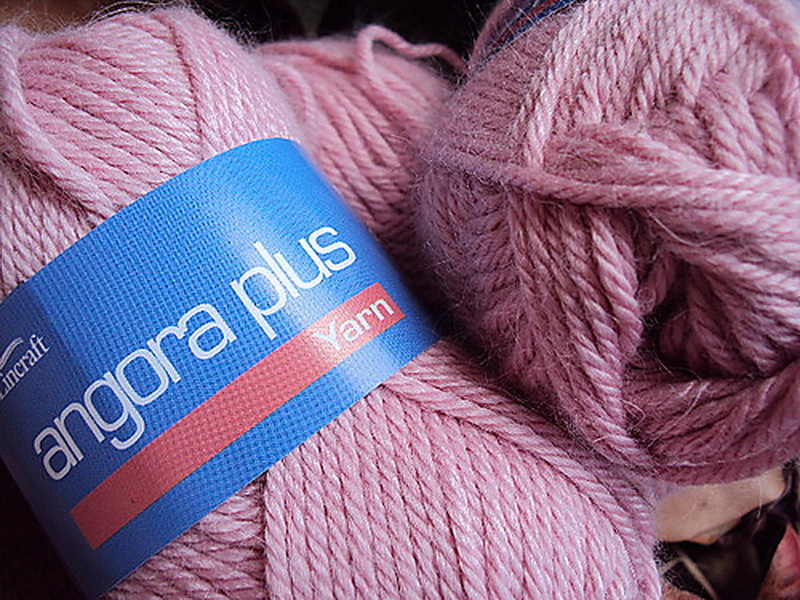 I used this yarn to make my Mock Cable Baby Hat and Ribbed Pumpkin Hat and I’ve just finished knitting some slippers in this yarn as well which I’ll feature soon. 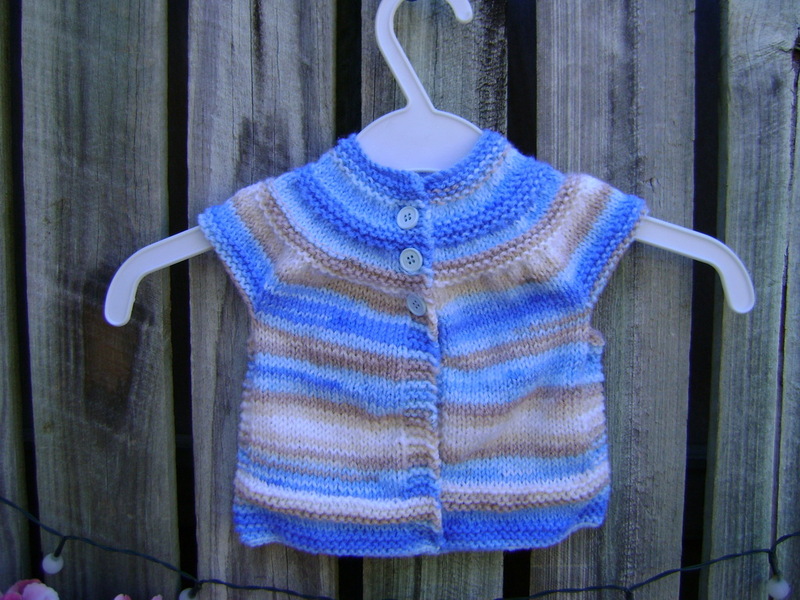 The pattern I used is ‘In Threes: A Baby Cardigan’. 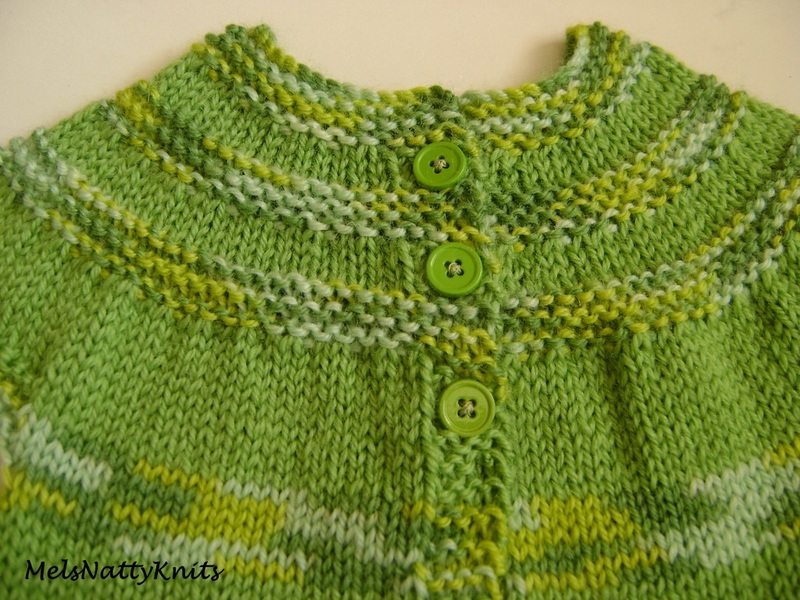 This link will take you to some photos of the cardigan with little bodies in it! It’s perfect with a little long sleeved top underneath. 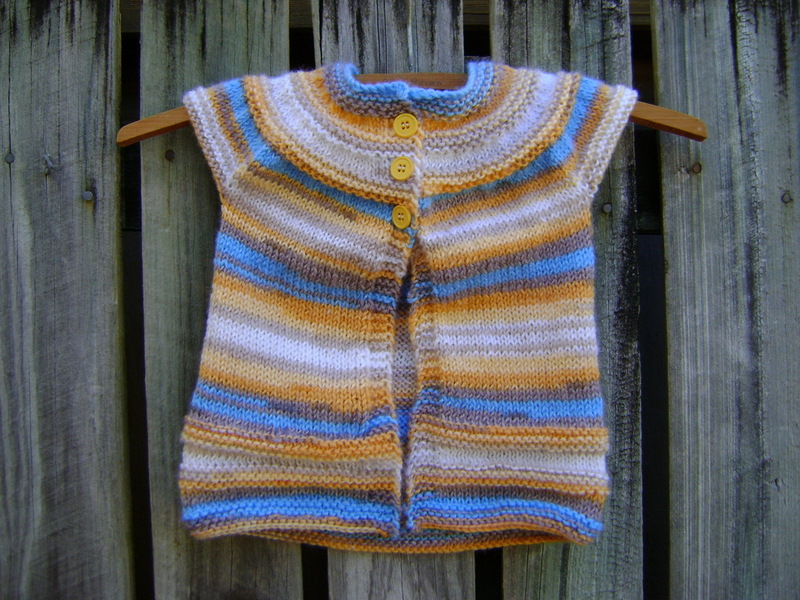 This is the back view of the cardi. 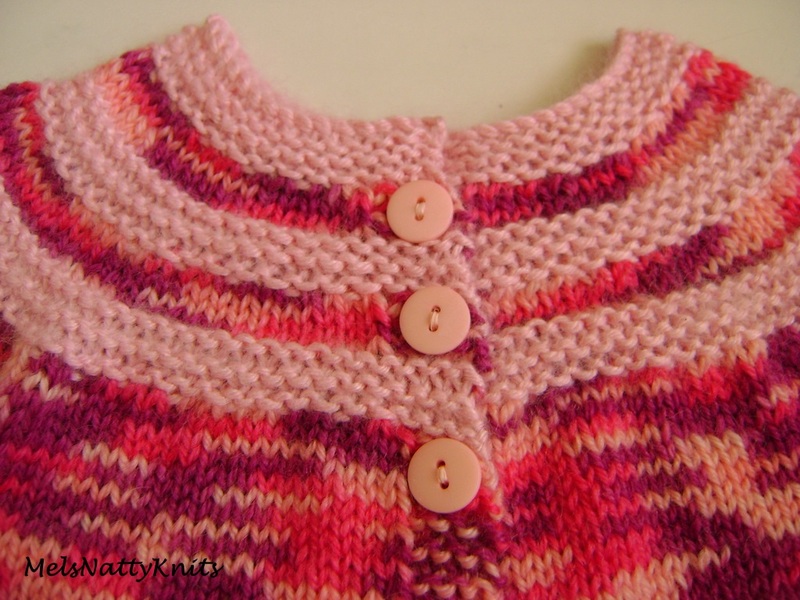 Now because I loved this pattern so much I made two more cardigans! 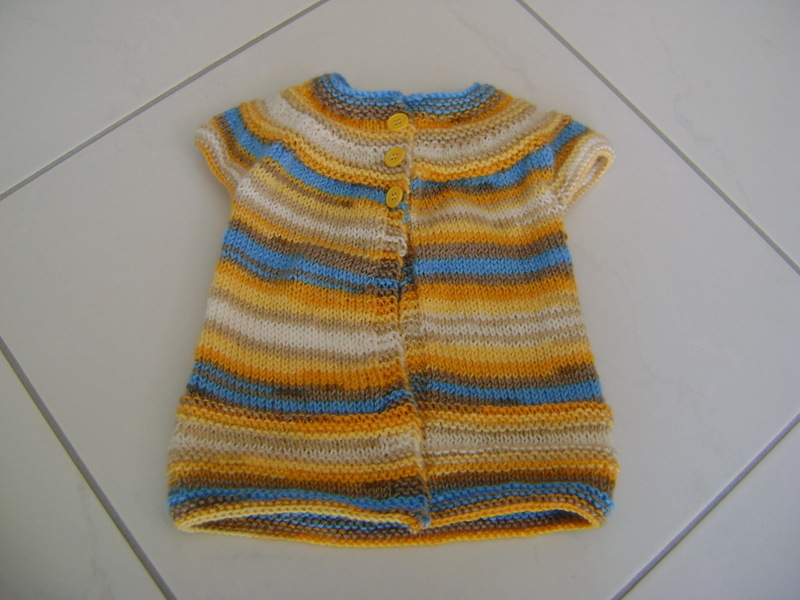 This one is size 18 months and I added another repeat at the bottom and by doing this I used up the whole ball of yarn less a few centimetres. 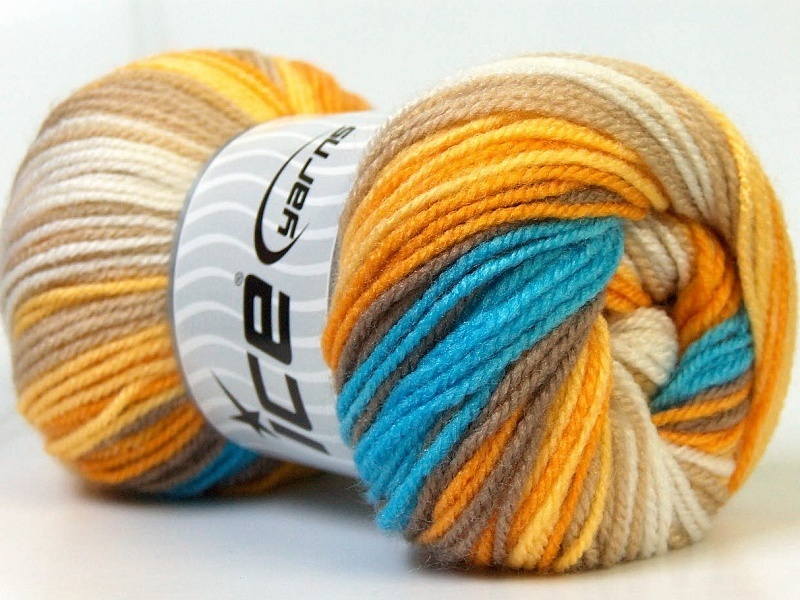 I’ve called this cardi ‘Beach’ as the colours remind me of the sea, sun, sand and occasional cloud at the beach. It looks quite long doesn’t it? 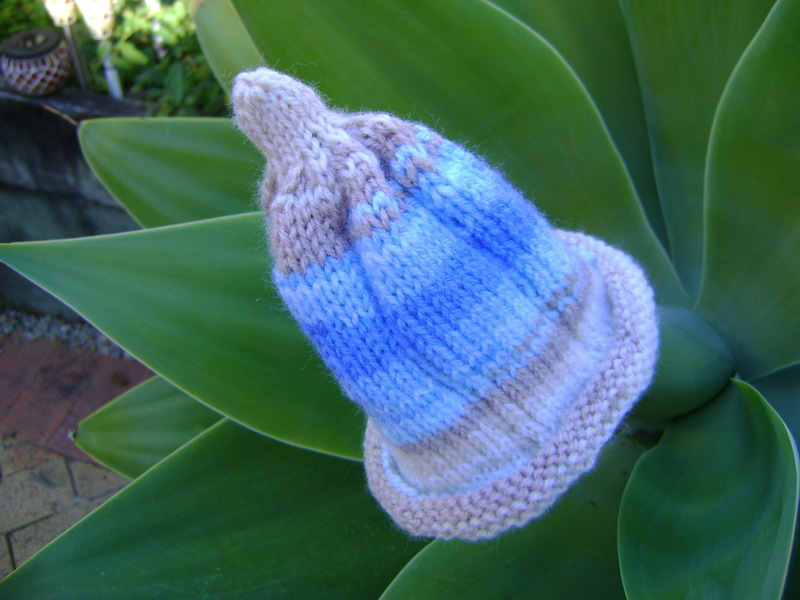 But hopefully it’ll keep an 18 month old extra warm around its little bottom and the top of the legs. 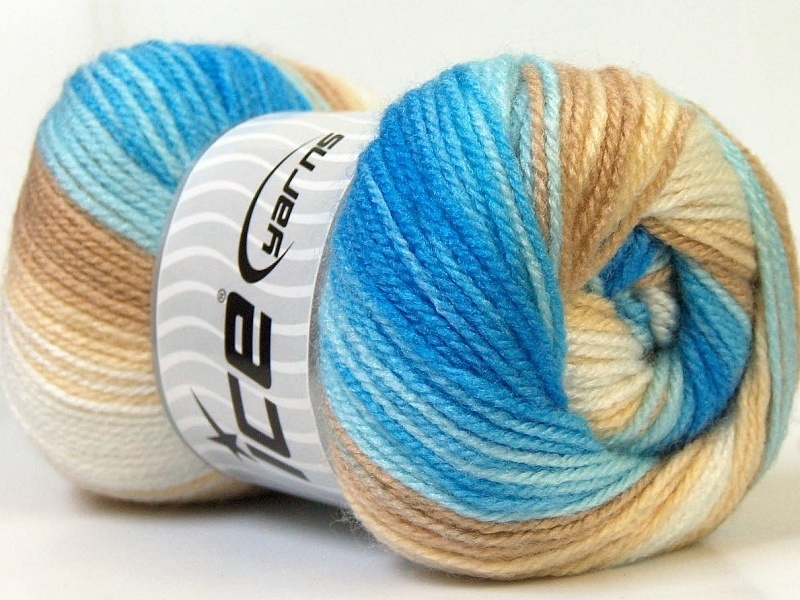 The yarn I used is Ice Yarns Dancing Baby which is a 100% acrylic DK yarn. 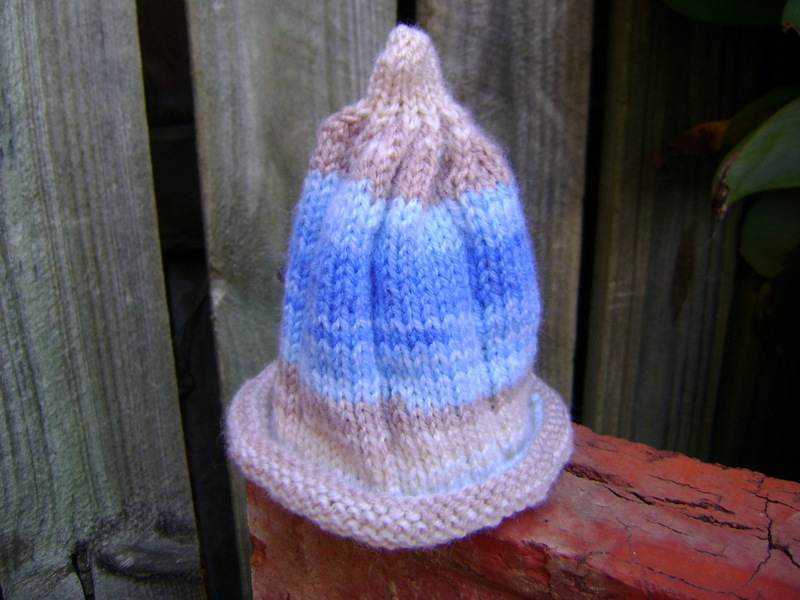 I used 4.5mm circular needles. 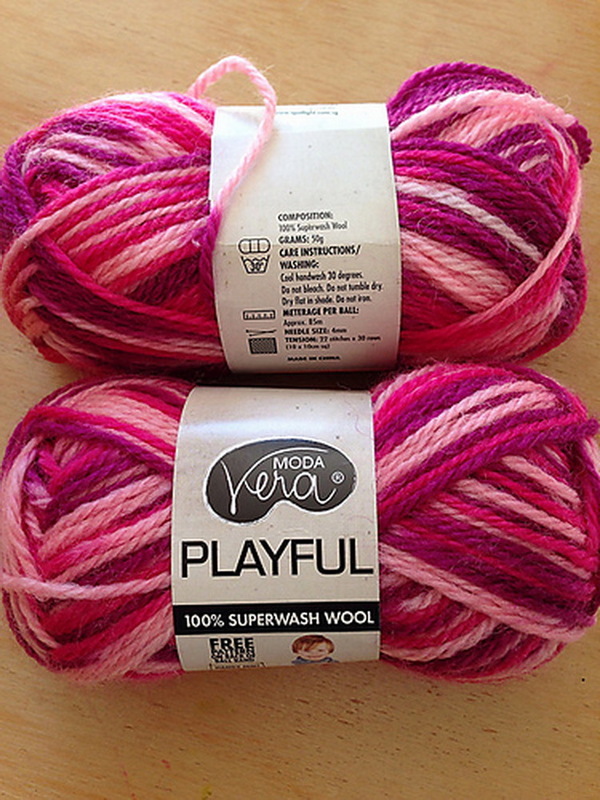 Now I generally only use acrylic for decorations or for items in the home and not for garments, however, I just couldn’t resist the colours in this yarn and being acrylic it will be easier for a mum to maintain although I would still be handwashing any baby items rather than tossing them in the washing machine. 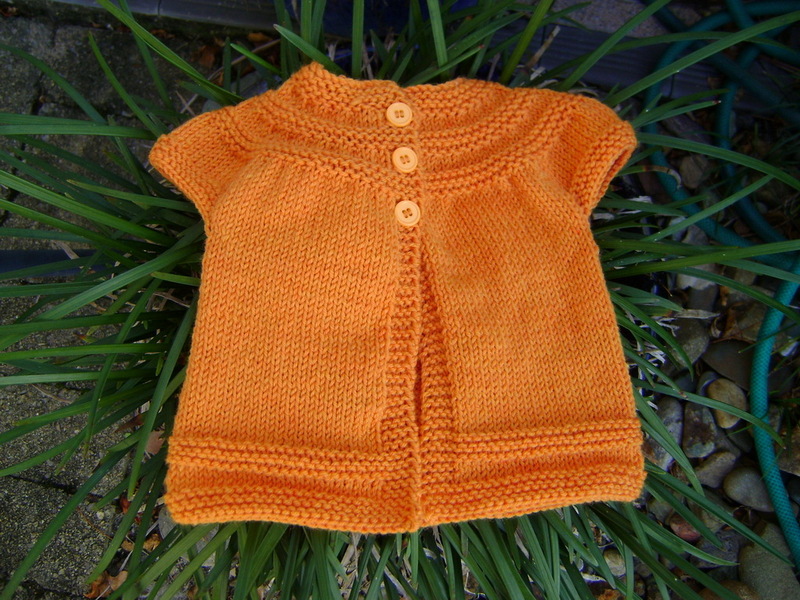 This is the size 0-6 months size. Again, it is just too cute for words. 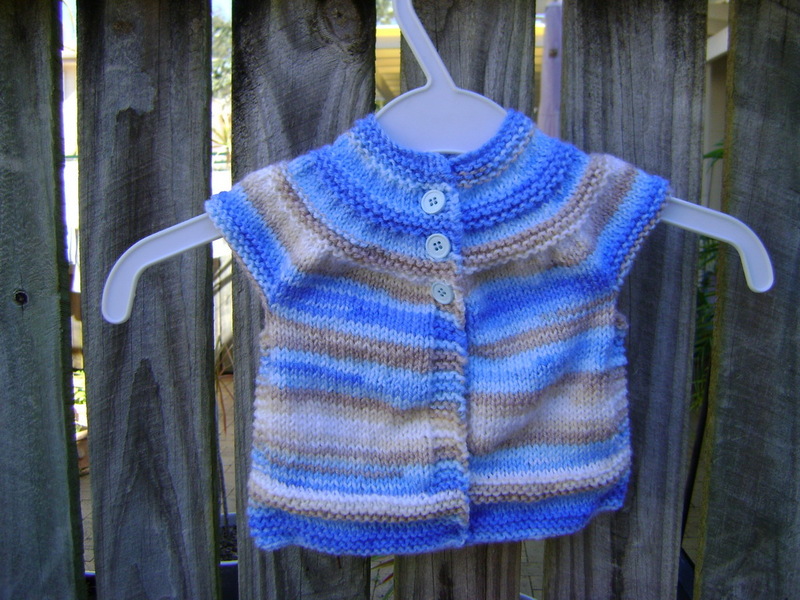 I called this cardi ‘Sand ‘n’ Sea’ as it reminds me of the sand and the sea. 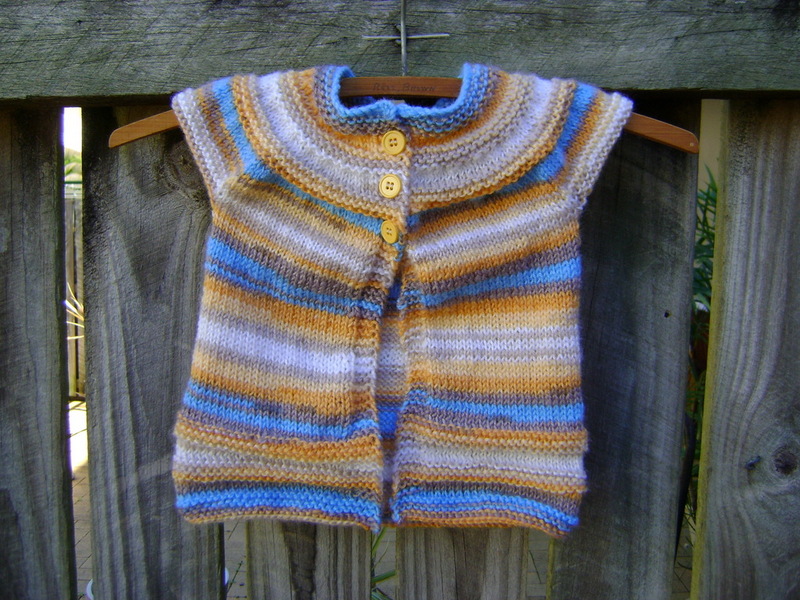 Yes, you guessed it, this cardi is also made with Ice Yarns Dancing Baby. How can you resist these colours? 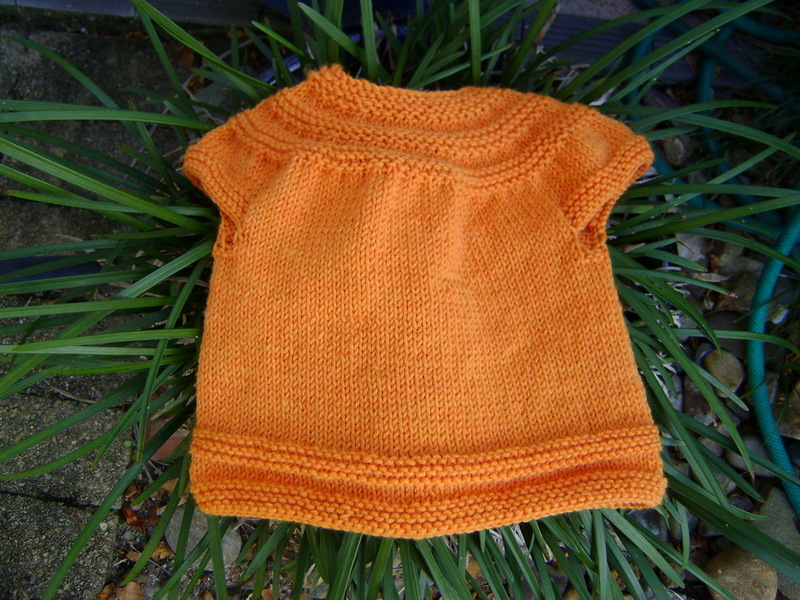 And just to finish it off I made this little Ribbed Pumpkin Hat to match the cardi. All I need now is a grandchild but I don’t think that’s going to happen for quite a while. 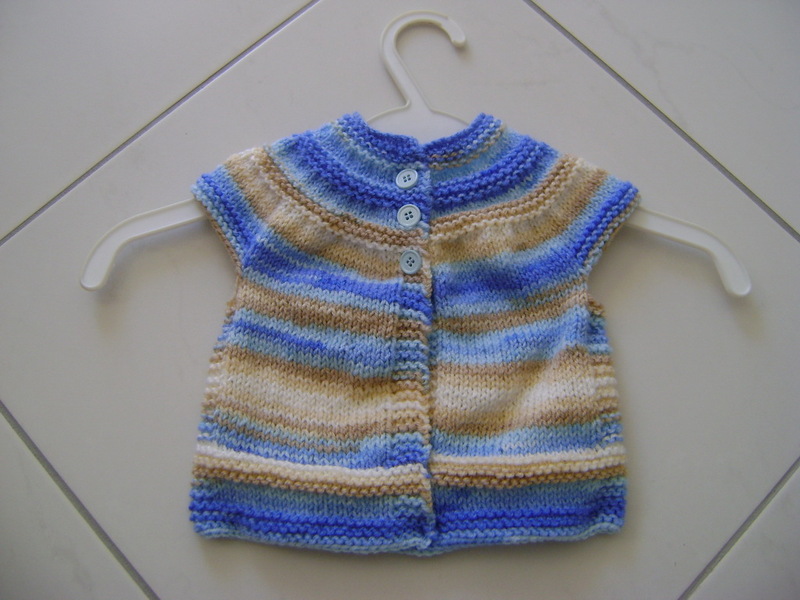 Although by the time a grandchild does arrive he or she will have a massive knitted wardrobe full of everything imaginable! 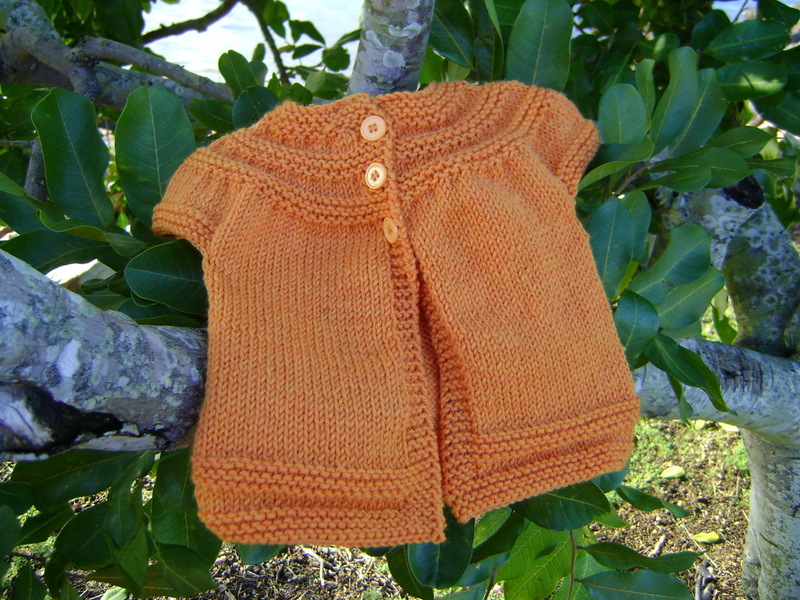 So for the moment these cardigans will be going into my ‘Grandma’s glory box’. 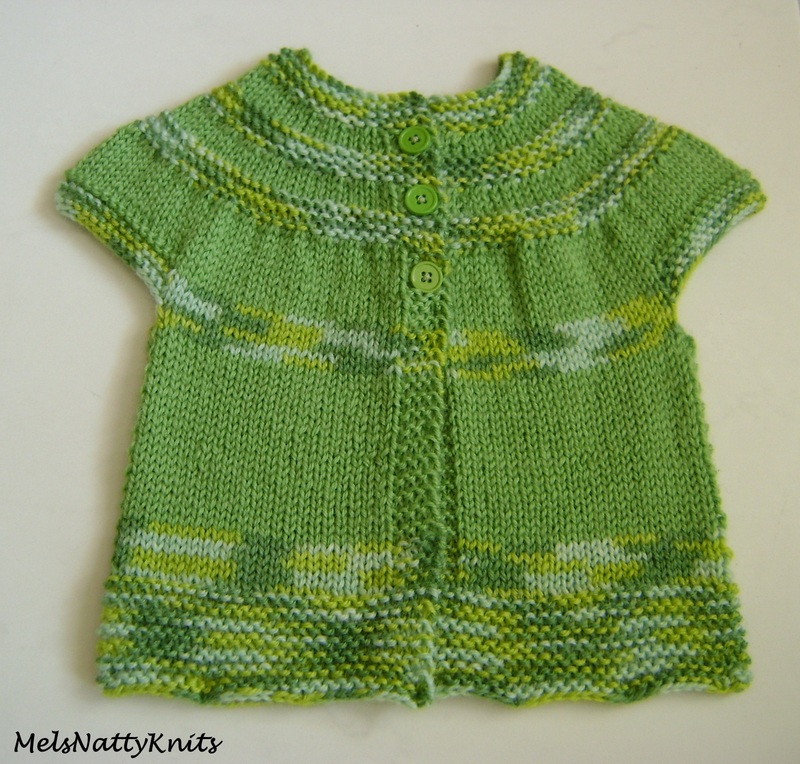 This cardigan pattern is definitely a favourite one for me and one I’ll be using quite a few times I imagine.